In troubled Gwynedd, the crown sits heavy on the head of King Kelson Haldane. In a realm historically torn asunder by deep-seated suspicion and fear of the magical Deryni who live among them, young Kelson is both beloved for his humanity and abhorred for his Deryni blood. Now, the traitorous cleric, Bishop Loris, has joined forces with Queen Caitrin, the Pretender of Meara, in her attempts to rip her homeland away from Gwyneddan rule. But Loris has even darker intentions. His scheme to reignite the terrible flames of holy civil war against the Deryni, coupled with Caitrin’s campaign of violent secession, draw Kelson and his army away from the royal court—where, in the king’s absence, an assassination plot is brewing. 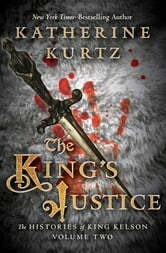 An extraordinary world-builder, acclaimed fantasist Katherine Kurtz returns readers to the Middle Ages of an alternate Earth in her continuing chronicles of the Deryni. 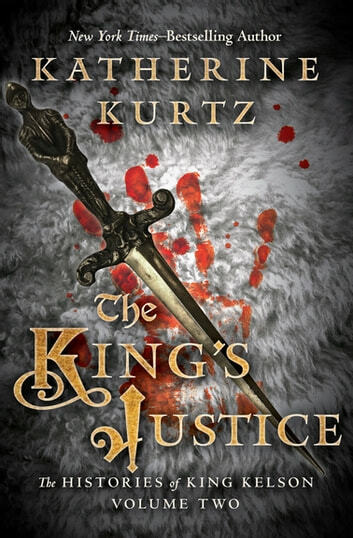 Kurtz’s second history of the troubled reign of King Kelson is a breathtaking tale of majesty, magic, war, treachery, faith, and intolerance that once again brings a fascinating world and its diverse peoples to glorious life.